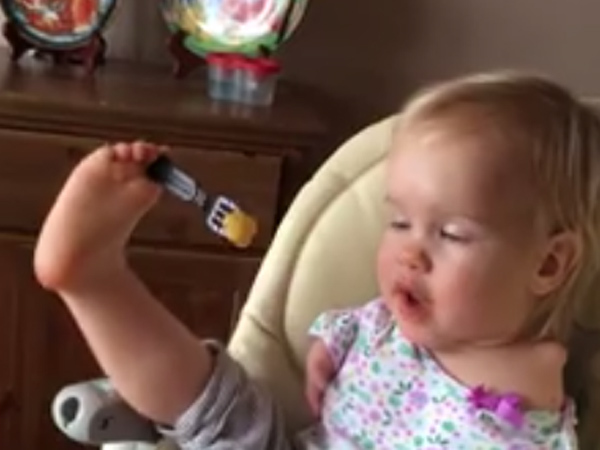 Incredible moment toddler without arms learns to feed herself – using only her feet! And she does it so gracefully too. A video capturing the moment a brave little girl without arms manages to gracefully feed herself using her feet has gone viral. The clip was shot by the Russian toddler’s mother Elmira Knutzen, who is heard laughing in the background as the scene plays out. The viral Facebook post, titled “For Vasilina’s fans”, has been viewed 67 million times and shared over 1 million times. While Vasilina doesn't quite manage the first time, she eventually successfully places the fork between the toes on her right foot and lift her leg to complete the task. Vasilina’s fans couldn't get enough of the heartwarming video. 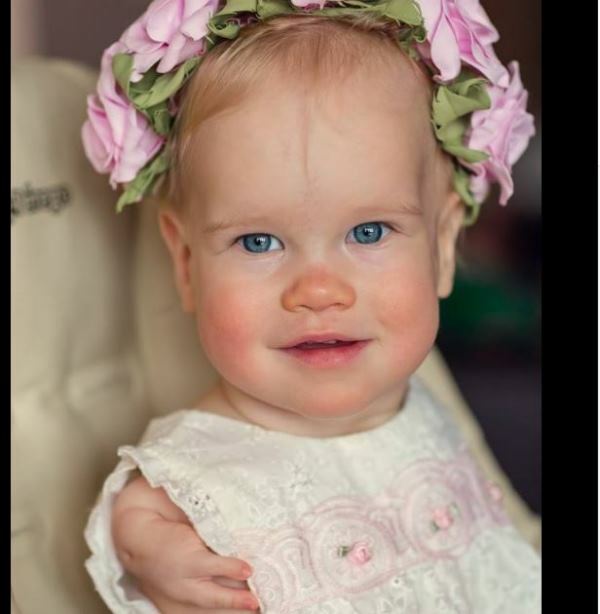 Elmira did not respond to questions about her daughter's condition, but whatever the case -- the beautiful blonde tot is truly incredible. Watch: 10-year-old boy was told he would never walk – and then ‘out of the blue’ he did THIS!